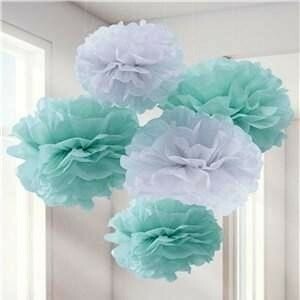 Hello World Pom Pom's are designed to add a splash of colour to your baby shower. 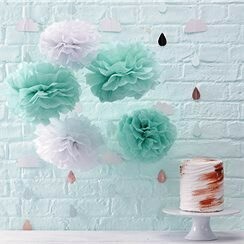 These gorgeous paper decorations are simple yet effective and come in gender neutral shades of mint green and white. Come in a pack of 5, 3 x 32.5cm and 2 x 25.5cm.